I loved the service I received fron LUCKY MOTORZ, Finance Manager, he was very polite, helpful and gave me all the information I needed on my car and the finance plan, I want to say thank you and I look forward to doing more business with you. These guys are awesome! Thanks for giving us a chance! Great place to find an excellent vehicle. Give them a try. You won't be sorry. Very professional, friendly sales staff! Will definitely recommend to friends. Greatest car dealer ever, they helped me get in a car fast...TWO THUMBS UP!!!! I just got a honda civic with lucky motorz there customer service is awesome i could not get approved anywhere else but they got me approved if i am in need again this is my number one spot. After going to 7 other dealerships Young actually sat down and found someone who would finance me a vehicle. I actually got the car i wanted as well. Nothing but good vibes from this dealership. I would refer everyone i know that is looking for a car. My service was great, Mr. Young really took care of me and all me automotive needs. I would recommend to others. I bought a beautiful BMW from them, it's in excellent condition.the entire staff was very friendly and professional.and their finance department works miracles.they only carry nice Vehicles so you're not going to get ripped off. Manager was so helpful & nice really helped me and got me the car I wanted I'm soooo thankful for him?? I would like to send a big Thank You!! :), to Young and Ms. Diane for being an honest,a friendly dealership. You guys make a difficult situation easy. No let downs!!! I recommend this place to anyone who had trouble getting a car.. Young and Ms. Diane makes it happen ,check them out!!!! Lucky motorz has an excellent service and vehicles . Great people to work with and found the best way to get my vehicle financed. 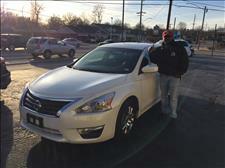 It was very impressive service and great feeling after purchase our vehicle we wanted sooo bad. Thanks Lucky motorz. very excellent, very good manners, excellent customer service , we came in and got seen the moment we went no long wait, great deals ! if your ever looking for a car come to lucky motorz guaranteed a nice new whip! I spoke with Young over the phone because I work a lot. He worked with my schedule and the staff was very polite! I am very pleased with the service!!! Excellent service if your looking for a car I recommend you stop in. Sale person is very professional, and polite. They work with you to find a car within your budget. Just recently purchased a car from the guys at Lucky Motorz. The process was easy and the manager worked hard to get me approved when other lots had turned me down. I am so happy i found this car lot. I appreciate your hard work helping me to get into a vehicle i love. 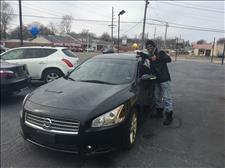 I went to Lucky Motorz expecting to be denied a vehicle or needing a co-signer like most places told me before. II applied online and met the owner later that day. He was so nice and the process was so fast and easy. I am so happy I came here and would definitely recommend it to friends and family!!!! I really enjoyed doing business with them! 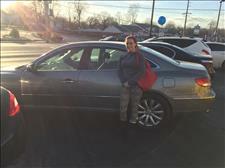 They worked with me on getting a car and put me in a car that I LOVE!!! I will definitely come back and do business again. GREAT SERVICE!